Last year apparently saw over 2,200 artists and 500 speakers descend on the Dutch capital for five days of world-class parties and the conference at the Amsterdam Dance Event. To coincide with the event, the ‘Defected Amsterdam’ compilation series gives a sneak preview of the tracks that might blow up at the event and dominate sets across the week and beyond. 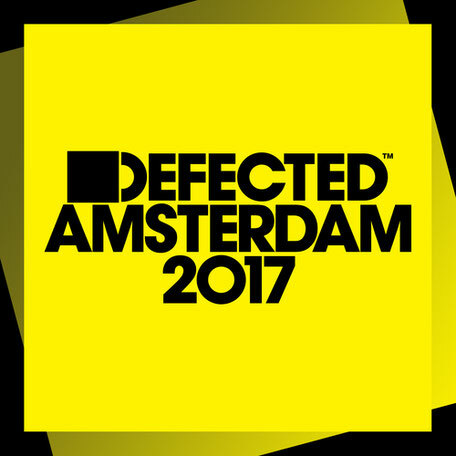 Spread across two mixes, ‘Defected Amsterdam 2017’ features records from new talent and established artists. The compilation starts as it means to go on with Franky Rizardo’s version of ‘Cola’, a chart-topping remix from the local Dutchman of the CamelPhat track that has possibly been the track of the summer. Emmanuel Satie’s box-fresh remix of Claptone ‘I Write Your Name’ adds some serious groove, while Amine Edge & Dance vs Blaze (Kevin Hedge) ‘Lovelee Dae’ provides the punch and Low Steppa’s basement mix of his track with Alex Mills ‘Karma’ gives a taste of what’s in order when Low Steppa plays Defected’s ADE party at Air. Providing further colour, Folamour’s ‘Island Of Recent Father’ and Bwi-Bwi ‘Insight’ bring out the lighter more disco-influenced side of the compilation. Ray Foxx brings in KINdom on the vocals for his revamp of the Roy Davis Jr classic ‘Gabriel’ and Maya Jane Coles returns after a long hiatus with ‘Werk’ taken from her new double album ‘Take Flight’.